I got inspired when I watered the plants. Here’s a couple plant-portraits of the ones in my house. 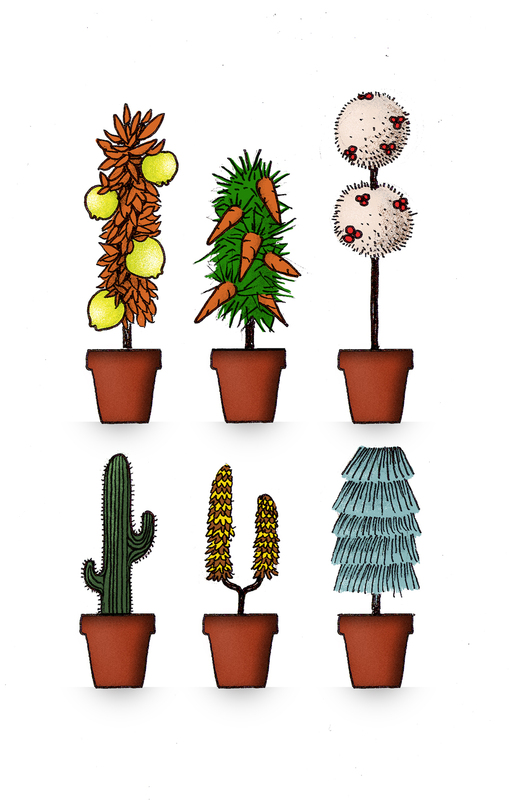 From left to right: Saguaro Cactus, Carrot Shrub, Lemon Tree, Y Knot, White Palm-Palm tree, (Lamp) Shady Pine. Very fun. Of course, I see letterforms, but that’s just my odd bias. 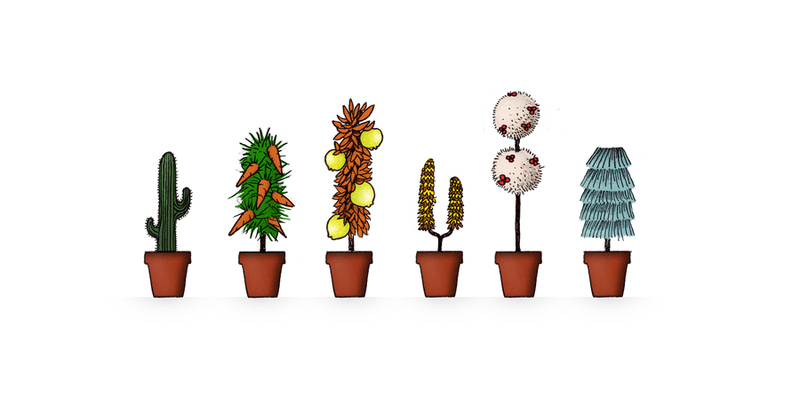 This is the sort of idea that could preoccupy me for days – nice series!